Several weeks ago, newly inaugurated California Gov. Gavin Newsom called upon deep-pocketed Silicon Valley tech companies to contribute money to help address the region’s housing shortage, and Facebook CEO Mark Zuckerberg has already answered. 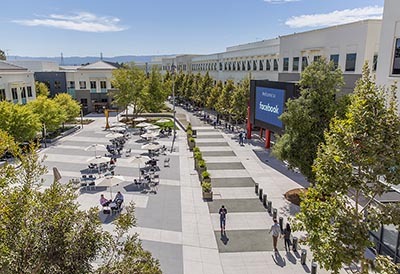 As The Wall Street Journal reports, Bay Area tech companies, led by Facebook, have started a fund to raise the $500 million that Newsom asked them to match to build housing for middle-income workers. Bay Area tech firms may have taken some inspiration from Microsoft, as the software giant recently committed $500 million to build affordable housing in its hometown of Seattle. The Facebook-led fund has already raised $260 million, with the goal of building 8,000 homes in five Bay Area counties over the next decade. An additional $40 million fund will give Bay Area cities financial resources to strategize about how to best build more affordable housing units. Over the past nine years, Silicon Valley has created 700,000 new jobs, seven times more than the amount of new housing that has been constructed. Research estimates that the region needs to construct 35,000 new housing units per year to meet population growth, which is expected to grow by 820,000 news households over the next 20 years. Speaking of Gavin Newsom, while he won’t be living in the Governor’s Mansion in Sacramento, he did score a pretty sweet spot not far away. SFGate offers a tour of California’s new first family’s home, a six-bedroom, Mediterranean-style home 15 miles west of Sacramento in the community of Fair Oaks. The $3.7 million home, which is currently being renovated, boasts amenities such as a swimming pool, a tennis court, a hot tub, an outdoor entertaining area, and a wine cellar. In a statement, Newsom Spokesperson Nathan Clark said that California’s first family is vacating the 142-year-old mansion in Sacramento because the Fair Oaks home is more suitable for the couple’s four children. CAN YOU SEE YOURSELF IN A SEA-BLUE HOME? If your home’s exterior could use a new lease on life, you might consider painting it one of the colors that are trending hot in the new year. Sea blue can work wonders on a home’s exterior, says a realtor.com blog post. This blue-green shade can make a splash without being overwhelming, and also provides a sense of calm. On the other side of the spectrum, some owners are painting their homes all black, which is a bold move but can convey sophistication if done probably. Several celebrities have opted for all-black residences, including Madonna and Calvin Klein. Other home-exterior colors to try on for size: taupe (a blend of dark brown and gray) and Spanish moss (a green that easily blends into natural surroundings). And if none of those hues strike your fancy, you can always make a statement by sticking with a neutral color like white and making it pop with a bright- or pastel-colored front door. Mortgage rates held their ground last week, which should bode well for the housing market in the coming months. The latest numbers from Freddie Mac put 30-year, fixed-rate mortgages at 4.45 percent for the week ended Jan. 24, unchanged from the previous week and up from 4.15 percent at the same time in 2018. Fifteen-year, fixed-rate mortgages also held steady from the week prior at 3.88 percent. In a statement accompanying the report, Freddie Mac Chief Economist Sam Khater said that although home sales have recently declined, America’s strong economy and high demand for mortgages so far in 2019 should help reverse that trend. In a recent report, National Association of Realtors Chief Economist Lawrence Yun blamed higher mortgage rates at the end of 2018 on December U.S. home sales activity, which declined by 6.4 percent month over month and 10.3 percent from one year earlier.